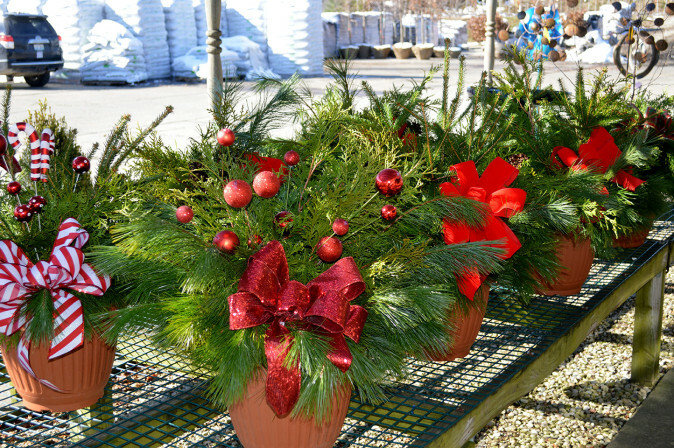 Wreaths, roping, cut greens, porch pots, center pieces and poinsettias will make any home beautiful for Christmas. Looking for the perfect gift for the gardeners on your list, stop by a check out some of the unique garden art the guys found at this years trade show. It’s fun and would make the perfect gift. Not sure what to get. A Baeten Gift card is perfect and everyone is always happy to receive it. The perfect accent for your home, a great hostess gift or a ‘Thank You’ gift for those people who do so much for you during the year. We have all sizes and many color to choice from. 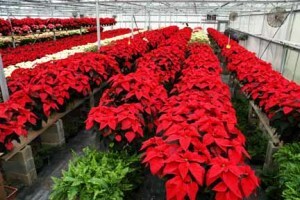 We also can provide your church or business with poinsettias. Call for pricing. 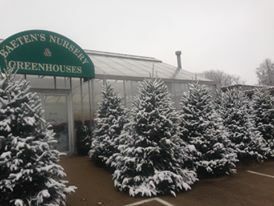 Need the perfect cut tree? Baeten’s carry Frazier Fir (the perfect shaped tree) from 5′ – 12′ tall. Our wreath are crafted from fresh cut greens harvested from our own plants. It doesn’t get any fresher than that.